Playing the lottery is a form of gambling. 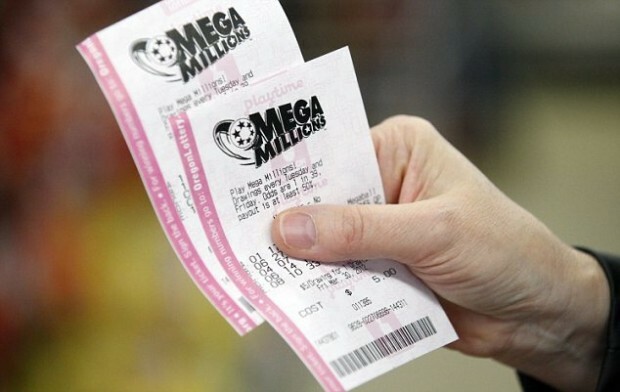 The typical lottery player repeatedly purchases numerous lottery tickets in hopes of securing a winning ticket and a cash payout. Playing the lottery has a change leadership analogy: The “Lottery Leader” seems to be constantly buying more tickets, making changes, in the hope that that at some point there will be a winning combination of numbers, a winning change. Lottery Leadership is evidenced in the church by leaders who have an idea a minute, are tempted to chase the latest and greatest idea or program they have heard or read about, get bored easily and have the attention span of a hummingbird. In short, their leadership style is characterized by constant and sometimes seismic change. In an earlier post we identified the change curve as the inevitable down turn in efficiency, effectiveness and attitude that comes with any change. In effect, the Lottery Leader stacks change curve on top of change curve on top of change curve with little understanding or appreciation of the mounting implications for those impacted by the changes. Before one change is fully embraced or implemented, the Lottery Leader purchases another ticket and then another, and in the process creates a high risk and a host of problems for the church. Low Morale: The stacking of multiple change curves leads to frustration, anxiety and loss of confidence and respect for the Lottery Leader. Low Effectiveness: The Lottery Leader changes things so rapidly and randomly that staff, church leaders and the congregation feel a high degree of ambiguity. Confusion reigns as people fail to fully understand the changes, know what is expected of them or what is coming next. Low Efficiency: Because the Lottery Leader makes so many changes so rapidly inefficiencies crop up in higher costs and depletion and diffusion of valuable time and resources. Bad Analysis: With so many changes in play at one time, cause and effect relationships become impossible to discern. In short, it becomes difficult to know if a given change is making any real difference. Poor Planning: Lottery Leadership reflects little or no planning. People don’t have clarity on where the change is leading nor an understanding of the steps that will be followed to get there. Sometimes They “Hit”: In theory, if you play the lottery long enough and frequently enough you will eventually “hit” a winner. At times a Lottery Leader’s idea produces positive results. Unfortunately for followers, such success infuses the Lottery Leader with a zeal for even more frequent change. 1. An Annual Planning Cycle: Establish an annual church planning cycle and require the Lottery Leader to “file” ideas and recommended changes until they can be considered along with other proposed initiatives for the coming year. 2. Vetting Criteria: Establish clear and agreed upon criteria to serve as filters for all new ideas. Use The Ten Most Important Criteria for Vetting New Ministries and Do You Have Plumb Lines for Your Church’s Decisions? to help jump start your thinking. 3. Feedback Systems: Establish formal documented systems for the Lottery Leader to report to the church’s governing body the measurable outcomes of his change initiatives. 4. Accountability Systems: Establish a Performance Management System where the Lottery Leader sets prioritized goals and reports against them regularly to a Supervisor or in the case of a Pastor, an Accountability Team. 5. Awareness Training: Lottery Leaders can rise to prominent positions in the church, including the pastorate, because of charisma, strong leadership gifts, communication skills and relational strengths. An awareness that this personality is prone to Lottery Leadership and an understanding of the implications is often the first step to embracing the need for the constraints listed above.